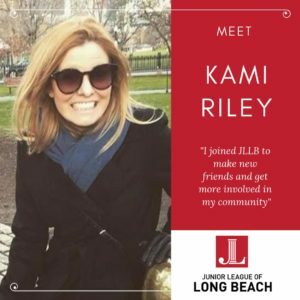 March Member Spotlight is Kami Riley. Click to find out more! The Junior League of Long Beach is fortunate to have a dedicated, compassionate and diverse membership. We celebrate our members each month by spotlighting a different woman that is bringing change, hope and love to the community of Long Beach. Read our Member Spotlight each month and learn about the women that make a difference in Long Beach!